An interview with pioneering SA B-boy and Red Bull BC One judge Vouks. Vouks busted his first move in 1997 before joining the well-known Azanian Flames where he mastered his craft. Ever since he’s been at the forefront of progression in the South African B-boy scene. He was the head judge at the recent BC One competition and no-one is more qualified to give us an insight into where the SA B-boy scene is at. Breakdancers are fit, agile and strong. Here’s how they stay in ultimate battle shape. The hip hop dj and producer shares some of his favourite breaks to play at b-boy competitions. When did B-boying begin in South Africa? B-boying began in the 1980s in South Africa. It started off in Cape Town, with guys like Ready D and spread throughout the country. How would you describe the local B-Boy scene? What’s the level? What’s going on? South Africa’s B-boy scene is healthy and growing. We are really getting to that international level. In Africa, we have the sickest and strongest b-boy culture. I’m working on building the scene and with the help of Red Bull BC One, the growth has been postive. There needs to be more happening though. Who are the top B-Boys and crews today? What distinguishes them? I wouldn’t necessarily say ‘top’ b-boys but the most influential b-boys today are Shorty [Blitz], Benny and in the new generation b-boy scene it’s Toufeeq. These b-boy’s possess originality and attitude. What places, dance centers, neighborhoods do B-Boys practice in? Places where b-boys can practice are limited. Usually it’s a park, school hall and even on a street; as long as the surface is good they’ll return. The support is not there but the boys are keeping at it. Are there any important events for B-Boying in SA other than BC One? Other events exist for b-boys in cities across the country but at a smaller scale to Red Bull BC One. The East London and Port Elizabeth b-boys have their own thing going and are in need of a bigger platform. These b-boys are strong, aggressive and hungry – I like that. They are so different. How has B-Boying changed here over the years? There was a bit of a dip in the local scene about four years ago. As a result there are not as many crews now, that brotherhood is not as strong. B-boys are currently more into practicing and dancing by themselves, unlike in the earlier days. But we are going in that direction and I’m happy to see that things are coming alive again. Once we regain that unity as b-boys, we will be able to take b-boy culture to the next level in SA. 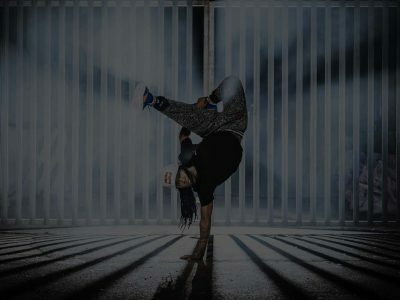 Is b-boying still relevant in the overall hip hop culture? B-boy is a strong part of hip hop. Hip hop videos don’t really show it, but that’s a good thing because it keeps the b-boy culture pure. People don’t see it often, not even on TV. This allows b-boy culture to be appreciated and mastered. A message to the “ new generation” b-boys? Don’t wait for someone else to do something for you. Surround yourself with good people. For example when I was starting out people like Ready D were there for me and that’s what I also want to do for the young ones. So, go out there and be daring, learn and grow. And, like I said before, unite – it’s going to take this culture to the next level.